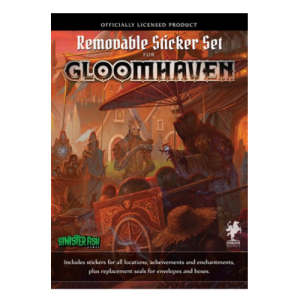 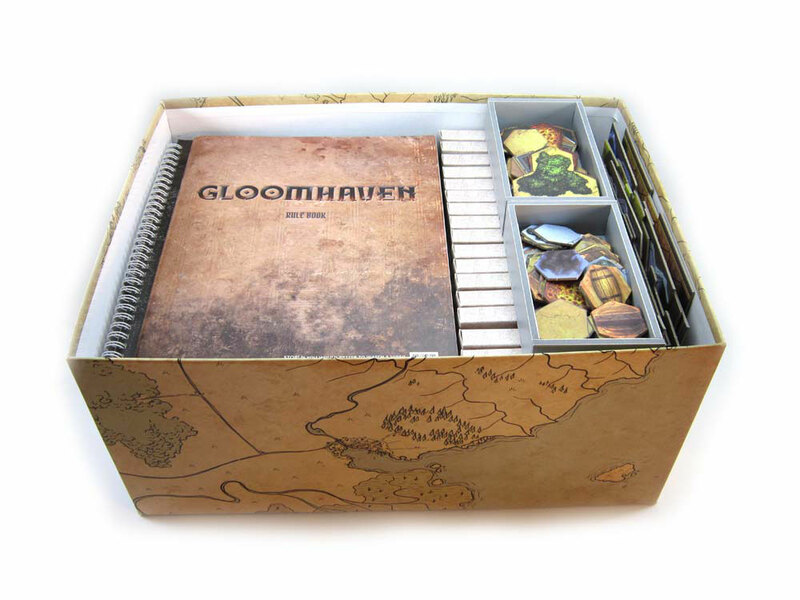 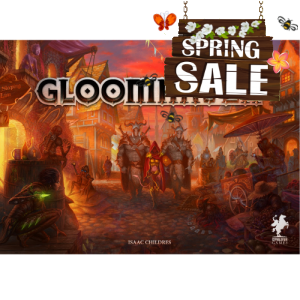 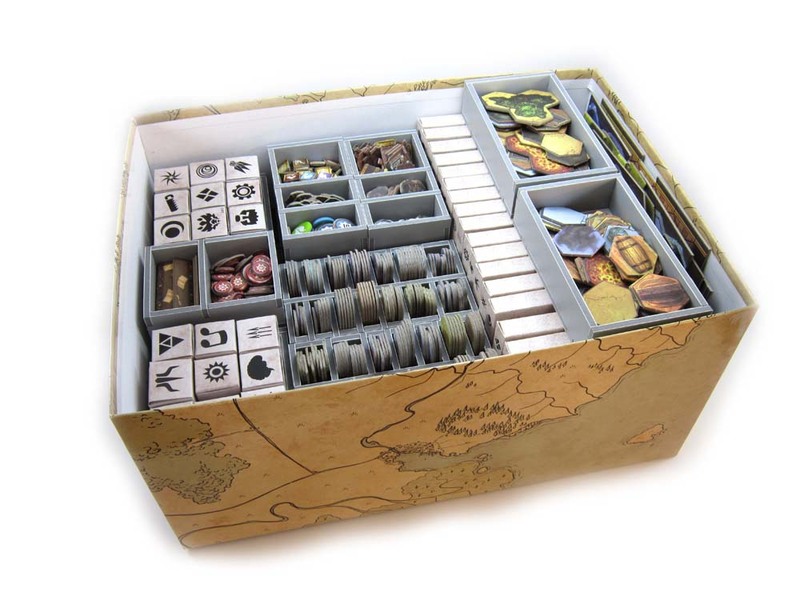 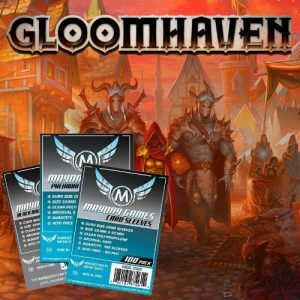 Gloomhaven® is a big box game with many complex components. The order of placing the insert trays in the box is important to maintain a tight fit for protecting components and also to allow vertical storage. 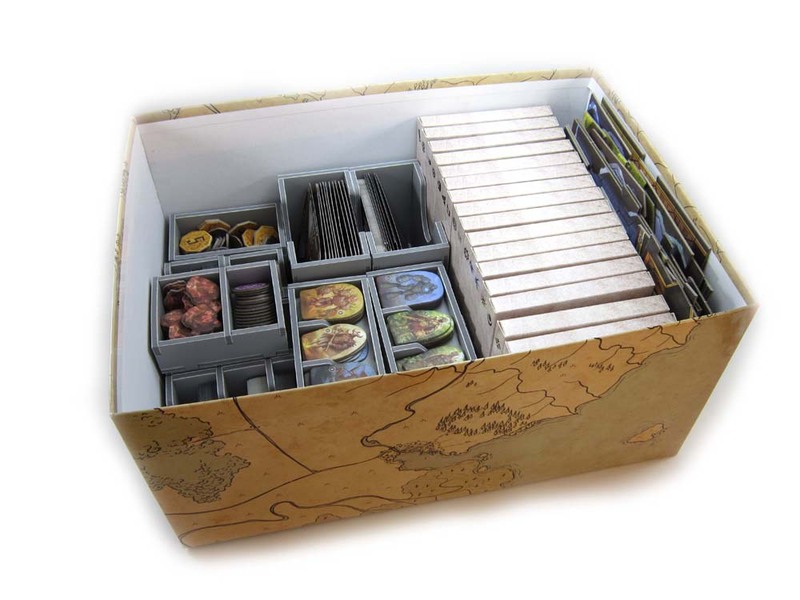 Please follow the sequence of placing trays below. 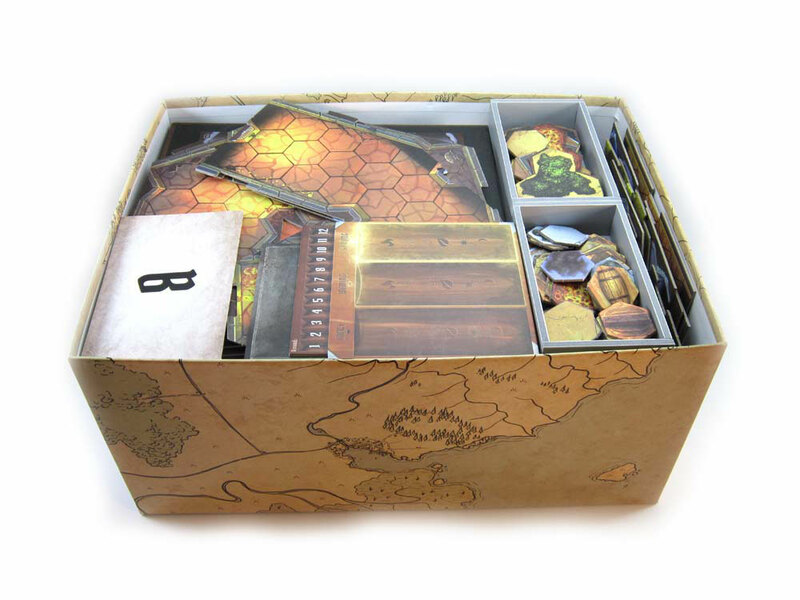 Note that the smaller room tiles stand vertically on the right next to the character boxes. 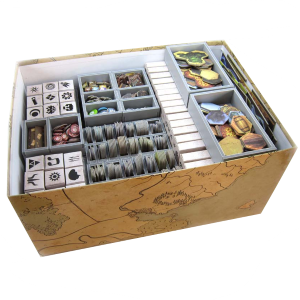 You then add the rule books on top of the trays. Followed by the board and finally the large room tiles.